[79 Pages Report] The hyperloop technology market is expected to be valued at USD 1.35 Billion in 2022 and is expected to reach USD 6.34 Billion by 2026, at a CAGR of 47.20% between 2022 and 2026. This report provides the market size and future growth potential of the hyperloop technology market across different segments such as transportation type, components, and geography. The study identifies and analyzes the market dynamics such as drivers, restraints, opportunities, and industry-specific challenges for the market. This report also profiles the key players operating in the hyperloop technology market. The increasing need for traffic decongestion and fastest and low cost mode of transport is expected to propel the growth of the market. The market size forecast is provided for the period between 2022 and 2026. The research methodology used to estimate and forecast the hyperloop technology market begins with capturing data on key vendor revenues through secondary research. Some of the secondary sources include associations such as Hyperloop UC (US), Delft Hyperloop (Netherlands), Badgerloop (US), Hyperloop India (India), Hyperloop UPV (Spain), WARR Hyperloop (Germany), AZLoop (US), and others. The vendor offerings have also been taken into consideration to determine the market segmentation. The bottom-up procedure has been employed to arrive at the size of the market from the cost of investment being made in this market. 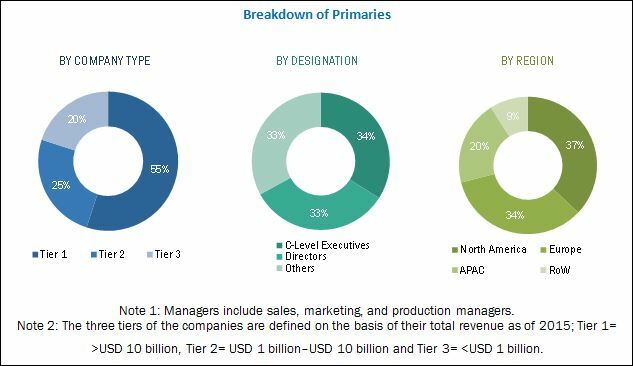 After arriving at the overall market size, the total market has been split into several segments and subsegments, which have been verified through primary research by conducting extensive interviews with key experts such as CEOs, VPs, directors, and executives. Data triangulation and market breakdown procedures have been employed to complete the overall market engineering process and arrive at the exact statistics for all segments and subsegments. The breakdown of the profiles of primary respondents is depicted in the following figure. The hyperloop technology ecosystem includes service providers such as Hyperloop Transportation Technologies (US), Hyperloop One (US), and TransPod Inc. (Canada), DGWHyperloop (India), and other end users. According to MarketsandMarkets’ forecast, the hyperloop technology market, in terms of value, is expected to grow to USD 1.35 Billion in 2022 and is expected to reach USD 6.34 Billion by 2026, at a CAGR of 47.20% between 2022 and 2026. The major drivers for the market are increasing global demand for fastest and low cost transportation for decongestion of cities, less expensive and easier-to-build infrastructure, transportation type with less land area requirement, and technology that is not vulnerable to earthquakes and other natural calamities. This report covers the hyperloop technology market based on transportation type, components, and geography. The passenger transportation is expected to lead the market between 2022 and 2026. Passenger transportation is expected to be the fastest growing application in hyperloop technology market as it plays a vital role in passenger transport at highest speed at a low cost. Passenger hyperloop route development is already in progress. Hyperloop transportation technology has different components such as capsule, tube, propulsion system, and route. Some of the companies having their own engineering facility are manufacturing these components on their own and others are importing from different vendors. These different components put together help in forming an operational hyperloop transportation system. 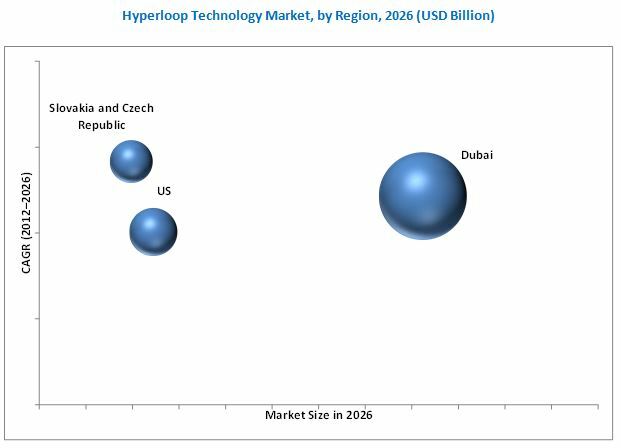 The hyperloop technology market for Slovakia and Czech Republic is expected to grow at the highest rate between 2022 and 2026. These countries have high income economies with exports to the European Union being their major source of income. This new transportation technology will improve accessibility between the two countries for different reasons such as passenger, cargo transport, business travels, and others. Hyperloop is expected to prove as a strong opportunity to extend their business relations with other European countries. The Slovakia and Czech Republic region is expected to hold the largest share of the hyperloop technology market in 2022. The demand for fastest and low cost commute is expected to drive the growth of the hyperloop technology market in this region. Population in this region is increasingly adopting advanced modes of travel. The hyperloop technology market in Slovakia and Czech Republic is expected to grow at the highest rate between 2022 and 2026. Hyperloop technology market is facing few restraints such as lack of awareness about the technology, government regulations, and safety & security issues. As the technology is still under development, people are not aware about its applications and benefits, which is creating a restraint to gain the trust from different governments and investors. Some countries have strict government rules and regulations to allow development of hyperloop technology in the country. Also, people are concerned about the safety and security issues as capsules would be travelling at an average speed of 650 mph and the technology has no alikeness with any means of transportation from the past. The major challenges for the companies in the hyperloop technology market are lack of support from governments and capital investors, passenger emergency due to power outage, and capsule depressurization. The major vendors in the market include Hyperloop Transportation Technologies (US), Hyperloop One (US), DGWHyperloop (India), TransPod, Inc. (Canada), and AECOM (US) among others. These players adopted various strategies such as new product developments, mergers, partnerships, collaborations, and expansions to cater to the needs of customers. *Details on Business Overview, Business Strategies, Recent Developments Might Not Be Captured in Case of Unlisted Companies.